The size will surprise you. Pristine 5/6 bedroom, 5 bath, 2 bedroom on main level. Extraordinary kitchen with built in commercial appliances, granite, stainless, 6 burner gas stove, island , wet bar, and wine cooler. Very open airy , custom designed ceilings, mouldings, all hardwood throughout home, brick, stone with Pella windows/doors. Decorators dream, bells, whistles, and gorgeous detail throughout . Full finished basement, plantation shutters, 3 car garage, boathouse, screen porch, and deck. A must see! This house is amazing! Contact Elizabeth Mixon, 478-361-2005 at Fickling and Company, 478-757-9600 for more information and to see this beauty. 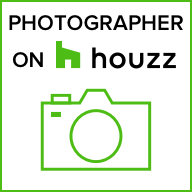 Book your real estate photoshoot today!